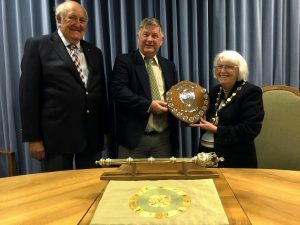 Each year the Hampshire Association of Local Councils presents an award to a local parish or town clerk in recognition of the work they have carried out for their council and the community. Members (Councillors) of Petersfield Town Council recommended their Town Clerk, Mr Neil Hitch to Hampshire Association of Local Councils for the 2018 annual award, and at the annual meeting, it was announced that Petersfield Town Clerk Neil Hitch, was presented this prestigious award. Neil lives in Totton with his wife Margaret, and has been our Town Clerk for 12 years. 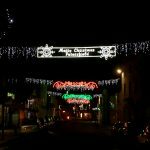 During that time, he has worked tirelessly to improve things for our residents and town, as well as being very involved in his own local community. He was surprised and delighted to receive this award at our Council meeting on 22nd November and his councillors were very pleased that his hard work and dedication have been recognised in this way.